Here’s the information on my Galápagos Land Based Tour with Intrepid Travel in September of 2011. This tour was Land Based. You stay at a hotel each night and take day trips by boat to various islands. Tour details can be found at Intrepid Travel – Active Galapagos. Sorry, but I’m terrible at blogging, so here’s the Intrepid Travel itinerary notes: Travel to Quito and discover this city resting beneath Volcan Pichincha. Explore the picturesque streets and cobblestone alleys on a walking tour. The many churches, cathedrals and colonial mansions reflect the history of the region and are well worth exploring further. 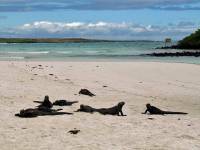 Head off to San Cristobal Island in the Galapagos Archipelago. Saddle up on mountain bikes for a ride around the island, stopping at the Interpretation Center to learn about the history of the Galapagos Islands. The next day, visit Isla de Lobos and Cerro Brujo Beach to observe blue-footed boobies. 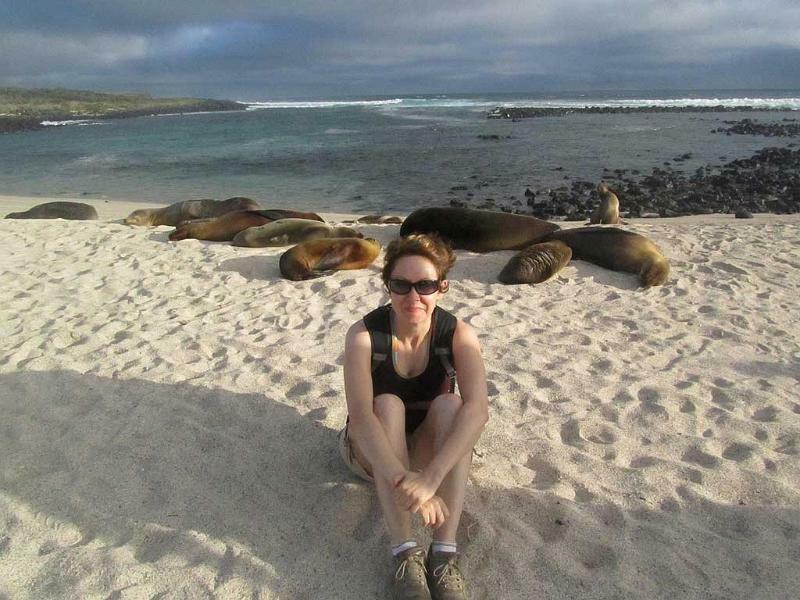 Take to the sea and swim, snorkel with sea lions or opt to go diving for a deeper look into the Galapagos. Glimpse dolphins in the waves and experience some of the Galapagos’s best diving and snorkeling at Isla Floreana, also home to pink flamingos, sea turtles and a diverse range of sea birds. Get a bird’s-eye view of this magical landscape from Sierra Negra volcano, one of the most active volcanoes in the region. 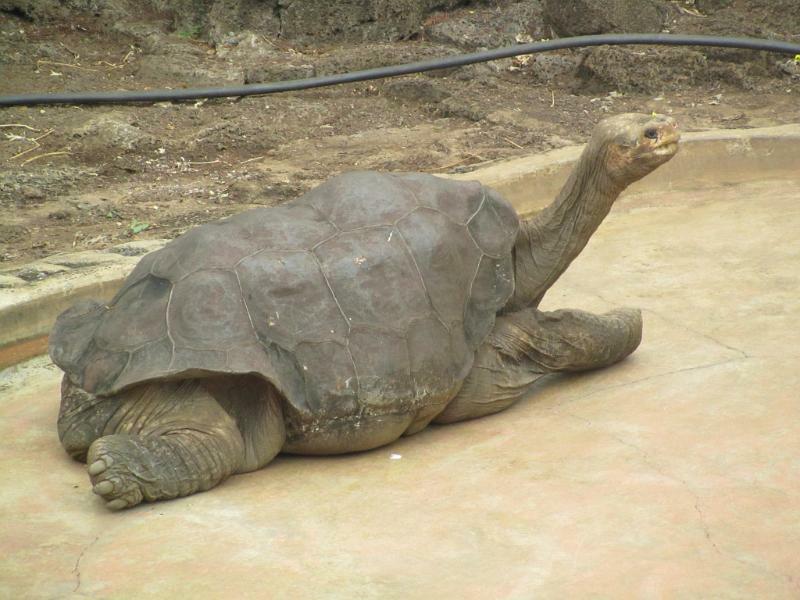 Visit the breeding centre of the giant tortoise and peek into the Galapagos’s penal past at the convict-built Wall of Tears. 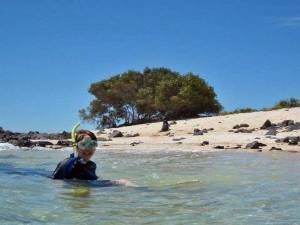 Travel to Tintoreras by dinghy for a spot of snorkeling. Hit the highlands of Isla Santa Cruz to observe the Galapagos giant tortoise. See the lava tunnels – geological formations that create a unique habitat for wildlife. This is also a top spot for panoramic views of the islands. Head to the white sands of Tortuga Bay to see the quirky marine iguanas playing in the breakers. 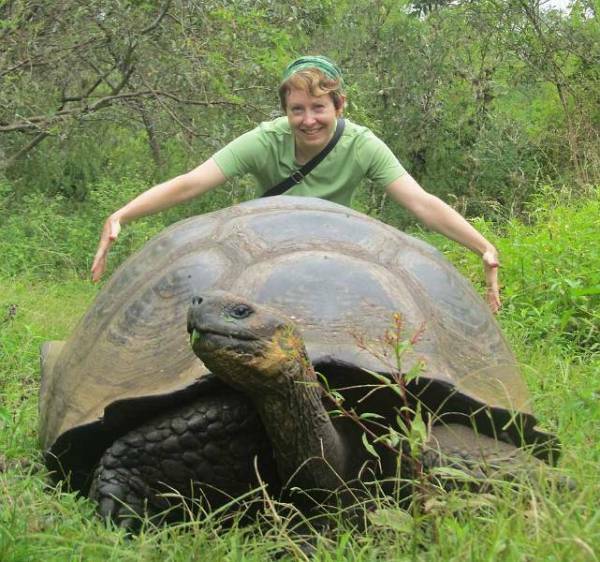 Visit the interesting and informative Charles Darwin Research Station to meet the tortoises and land iguanas brought back from the brink of extinction. 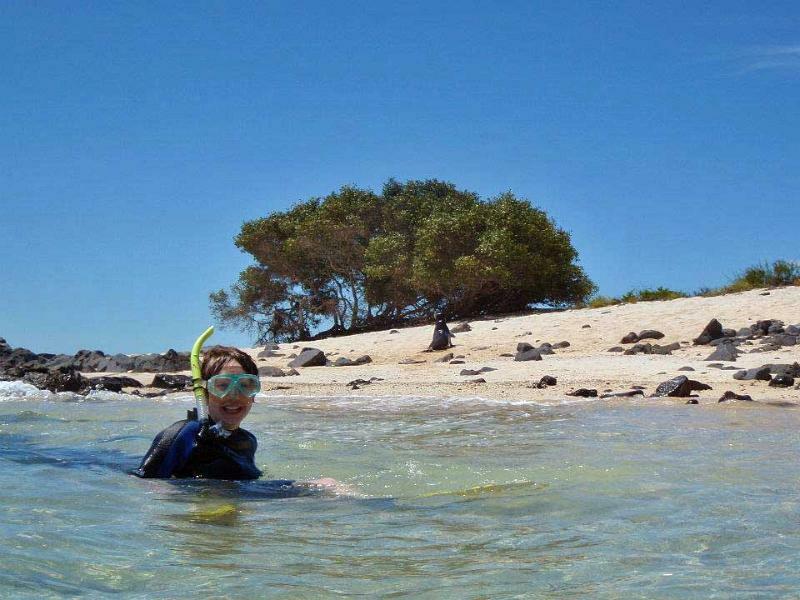 Snorkel Isla Santa Fe among marine iguanas, manta rays and surgeonfish. For a better look at the marine life, why not delve deeper into the ocean on an optional dive.